CEO Jim Hackett, who replaced the ousted Mark Fields in May of 2017, acknowledged frustration with the speed of Ford’s $11 billion restructuring effort. “It is what it takes to build an industrial model that we’re talking about, to do it the right way, to not have it fall apart,” he said on a conference call with analysts. Hackett said the company was slow to refresh its vehicles around the globe. 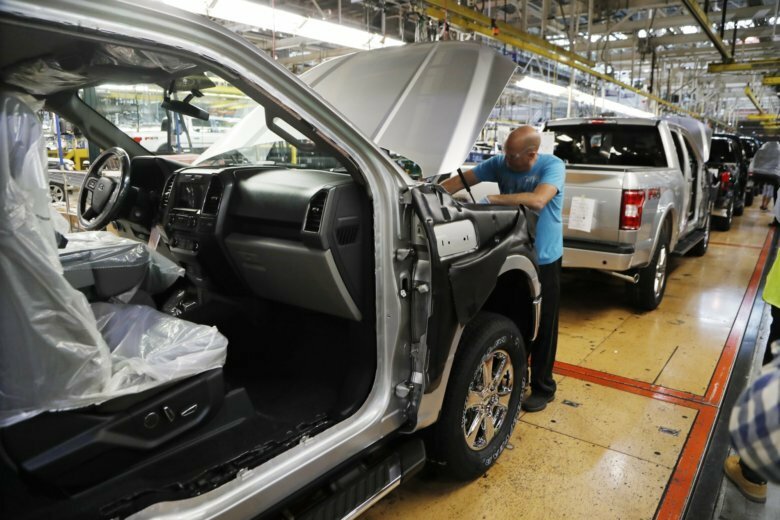 “We were constipated in product development,” he said, adding that Ford has updated its vehicles and propulsion systems while cutting costs. Without one-time items, Ford’s full-year profit was $1.30 per share, in line with the company’s recent guidance but short of Wall Street’s expectations. Analysts polled by FactSet expected $1.32 per share. Revenue rose 2 percent for the year to $160.3 billion, topping Wall Street estimates of $155.77 billion on stronger prices that customers paid for Ford vehicles, the company said. Its pretax profit margin was 4.4 percent. The company predicts “potential improvement” in revenue and profit margins this year. Without $3.3 billion in headwinds of tariffs and extraordinary recall costs including faulty Takata air bags, the company’s performance in North America improved, Shanks said. The costs likely are not recurring, he said. Ford’s shares rose about 1 percent in after-hours trading Wednesday to $8.40.